The Beatles’ first No. 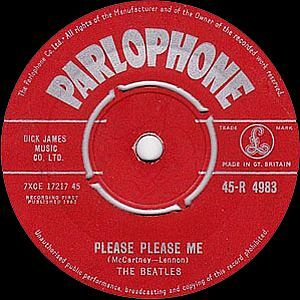 1 hit in the U.K., “Please Please Me,” came in February 1963 on Parlophone records. The song that really helped kick start the Beatles’ rocket ride to international fame and fortune in the early 1960s was “Please Please Me.” In the U.K. fifty years ago, in February 1963, “Please Please Me” was the song that first sent the Beatles’ music to the top of the music charts — their first No. 1 hit. It was also the song that energized “Beatlemania” in the U.K. – the screaming crowds that began besieging the Beatles at their stage appearances, generating media attention far and wide. “Please Please Me,” in fact, was the tipping point – the take-off song that changed everything. 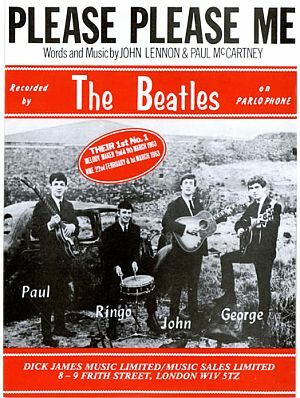 Within a year of this song’s release, the Beatles would be a worldwide phenomenon, their music selling practically everywhere. Early Vee-Jay single of Beatles’ “Please Please Me,” released in the U.S. 1963, is distinguished by ‘Beattles’ misspelling, later corrected. 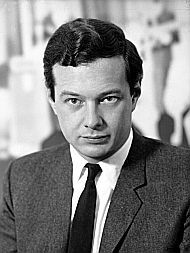 In the U.S., meanwhile, Brian Epstein in November 1963 phoned Capitol Records president, Alan Livingston, about the label’s refusal to distribute Beatles songs in America. Epstein played the Beatles’ latest U.K. hit song for Livingston over the phone — “I Want To Hold Your Hand” – and also mentioned to Livingston that the group was scheduled for February 1964 TV appearances onThe Ed Sullivan Show. Livingston agreed to begin spending some serious money distributing and promoting Beatles’ songs in the U.S. On December 4th, 1963, Capitol announced it would begin selling “I Want To Hold Your Hand” in mid-January 1964. But after a few radio DJ’s in America began playing the song, Capitol undertook a rush production schedule to release “I Want To Hold Your Hand,” then targeting release for the day after Christmas, December 1963. Vee-Jay records, for its part, seeing the rising tide for all things Beatles, decided to take another shot at “Please Please Me,” and in mid-January 1964 re-issued the single, this time, with “From Me To You” on the “B” side. 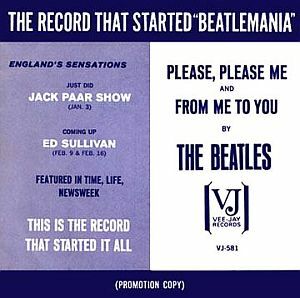 Some of Vee-Jay’s promotional record sleeves for the single featured headlines printed on the jacket that read: “The Record That Started Beatlemania,” and other text description noting the Beatles’ clip on The Jack Paar Show, their upcoming Ed Sullivan Show appearances, and press coverage in Time, Life and Newsweekmagazines. “This Is The Record That Started It All,” said the Vee-Jay record sleeve. 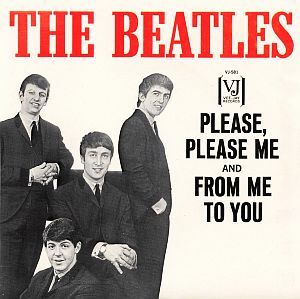 By January 25, “Please Please Me” finally entered the American Billboard chart at No. 69, soon rising to No. 1. 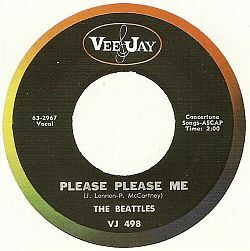 Vee-Jay would sell at least 1.1 million copies of “Please Please Me” in its second offering, and would also sell at least four other Beatles’ singles, as well as the Beatles’ first U.S. album, Introducing…The Beatles, which came out ten days before Capitol’s Meet the Beatles!, also in January 1964. The group’s name was misspelled “Beattles” on the record label on the first American release. 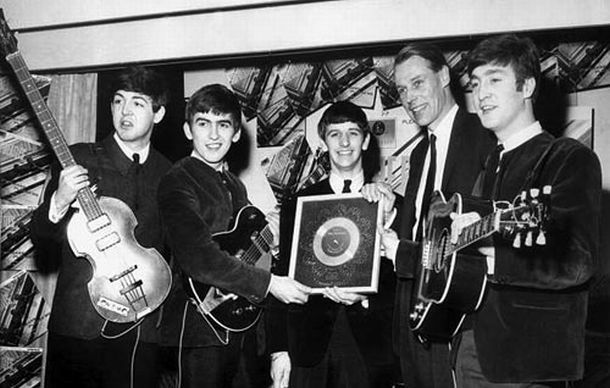 The “Please Please Me” album was The Beatles debut long player. When they recorded it at Abbey Studios in London, John Lennon was struggling with a streaming cold and all were tired after a tour supporting Helen Shapiro. 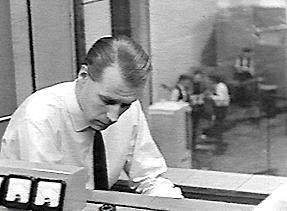 However with the help and encouragement of producer George Martin within nine hours and 45 minutes they had recorded their groundbreaking LP.